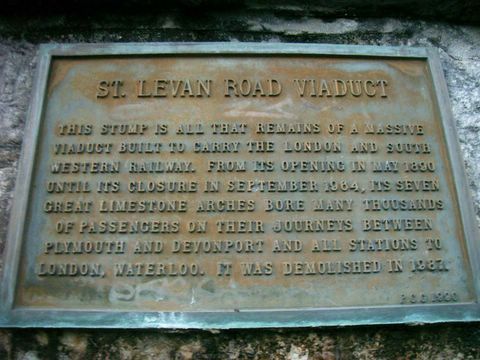 St Levan Road Viaduct was a magnificent stone viaduct across the St Levan Valley which was demolished just short of its one hundredth birthday. All that remains is a stump - along with this small plaque. 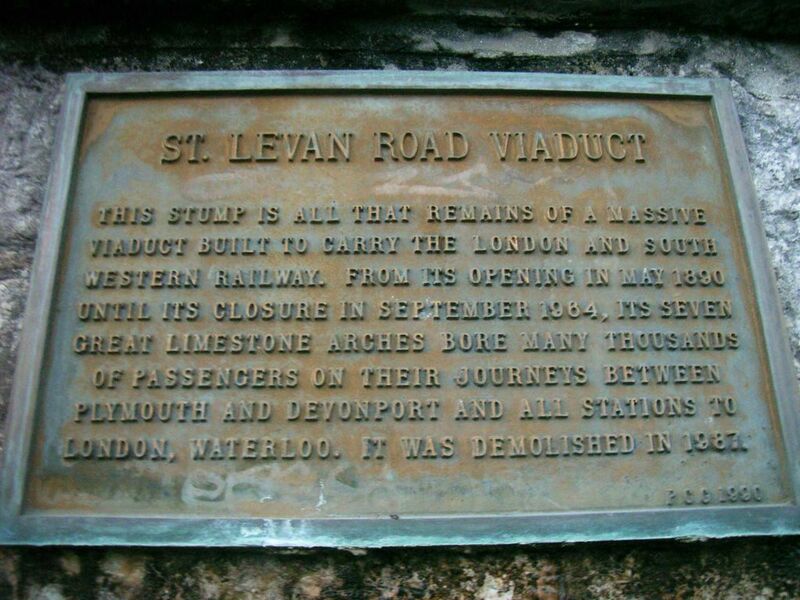 There is a picture of the viaduct still in situ here. Stamps Bridge is another long gone bridge which used to take the Turnchapel Branch Line across Billacombe Road. This is quite a wide stretch so it would have been an impressive bridge, although I have not seen any photos myself. 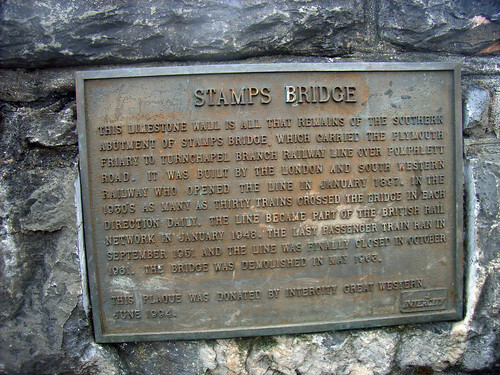 The final plaque marks the place where the original Laira Road Bridge crossed the Plym. This is right next to the Laira Railway bridge which carries the Turnchapel branch line. 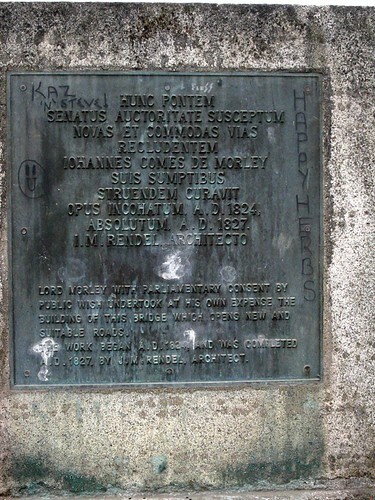 The bridge was replaced with a larger road bridge which is just to the left of this plaque. You can get a better view of the new bridge in this photo while you can see the old bridge in all its glory here.